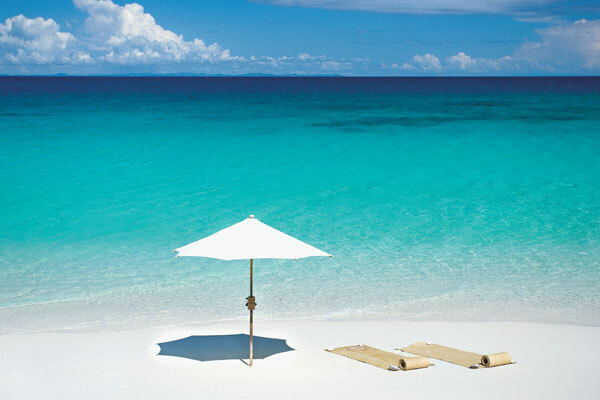 I had visions of leaving a cold and wet Edinburgh for an outrageously hot and even wetter Botswana – I was wrong. I spent a couple of weeks in December (their summer) exploring parts of this large but under populated country. Even though I went in the supposed rainy season, I could not recommend this time of year more highly. The temperature is hot but not too hot, it rains now and again (which clears the air), the game is outstanding and the land is gloriously green. The young impala had just been born, I saw the elusive Aardwolf, bat-eared foxes, wild dog and brown hyena. Not to mention plenty of lion, leopard and cheetah. Francis and I started our epic adventure in the Okavango Delta. The world’s largest inland delta, which just blew our expectations completely. During our ten days here we spotted a huge number of migratory birds. 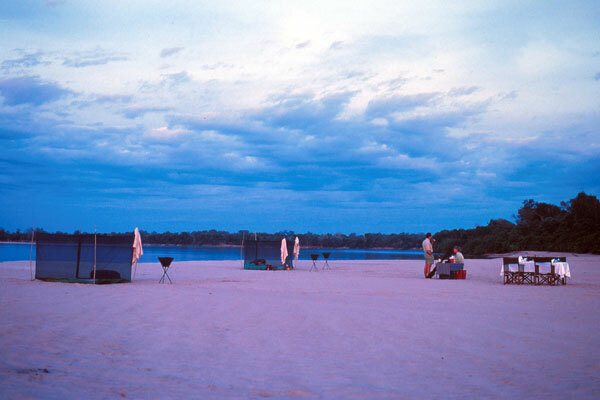 We nervously swam in the Delta, hoping not to come face to face with a crocodile or hippo. Despite the fact that our guide had assured us there was nothing to worry about. We fished for bream, tilapia and small tigerfish. 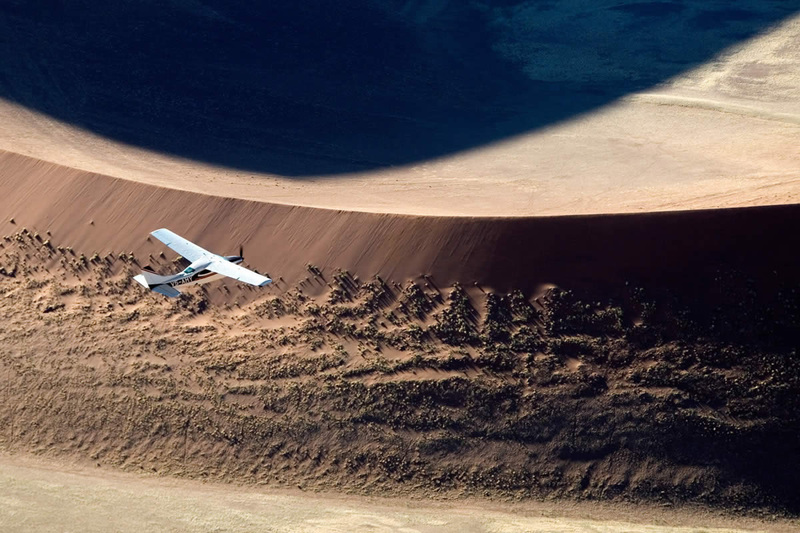 We flew on a low game flight over the flood plains where we saw huge herds of buffalo, hippo, elephant with their young. 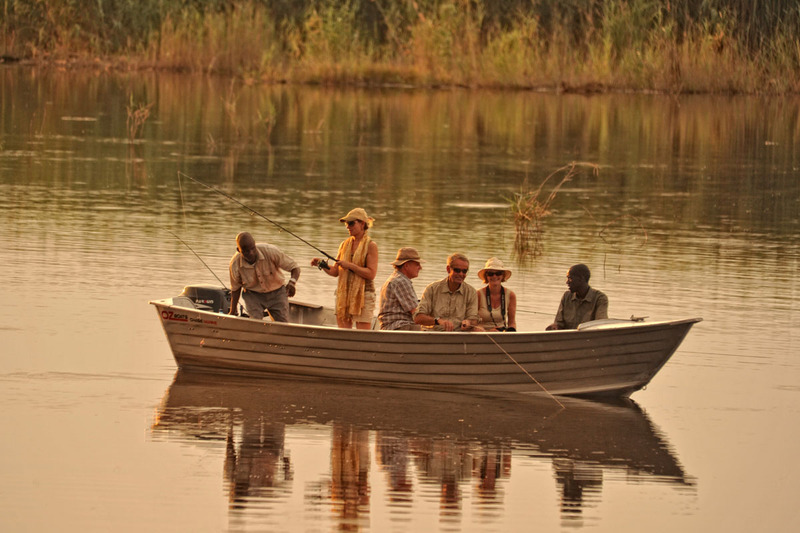 As well as gliding through the vast waterways in a traditional Mokoro canoe. 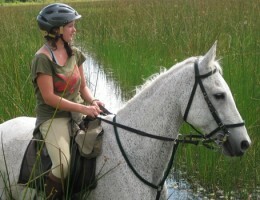 At the end of our stay in the Delta, we spent two days on horseback. 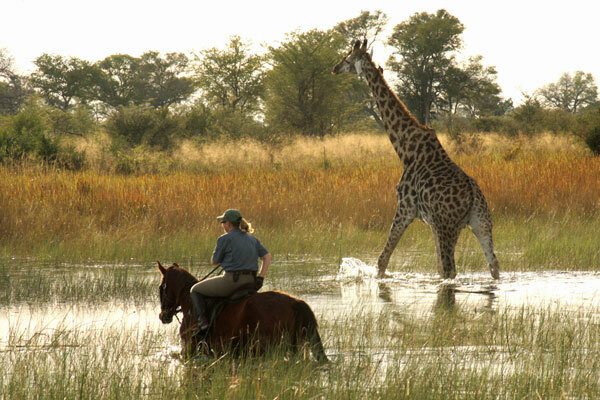 Can you imagine the feeling of galloping alongside a journey of giraffe? I couldn’t – not until I had. We spent a morning splashing through the water and thundering across the flood plains in search of game before ending up at a surprise brunch with champagne in the bush. After regretfully leaving the Delta, we set off south to the Makgadikgadi Pans where yet more adventure was on its way. Walking with the tribal Bushmen was a definite highlight giving us an amazing insight into their daily life – listening to the clicks of their language, learning the individual medicinal purposes of different plant species and how to make fire. These were just some of their intriguing lessons. 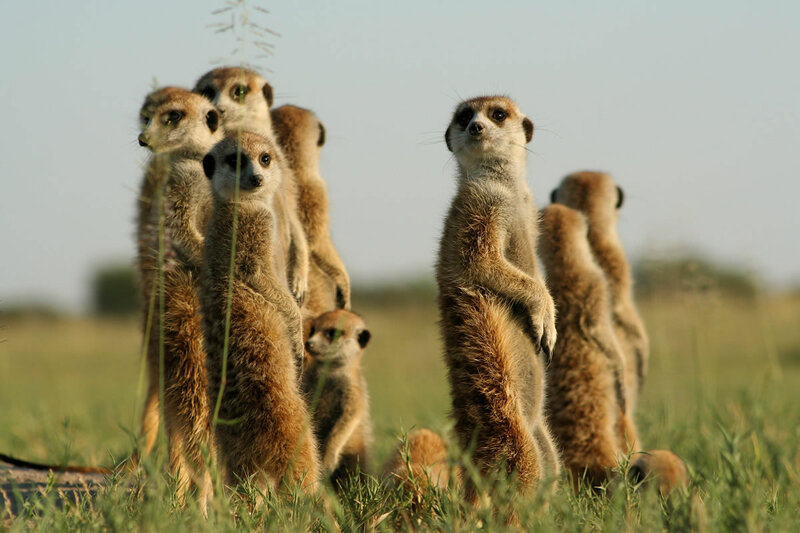 Next on our agenda, were the meerkats – such photogenic and peculiar little creatures. We arrived in time to see them warming their bellies in the morning sun before scurrying off in search of food. To walk with them was an unusual and memorable experience – occasionally we were told to sit down in hope that these small rodents would come and use us as look-out posts for danger. It is an odd feeling to have such a wild creature scrambling onto your head and one which I certainly shall not forget. With the Botswana government’s low volume policy on tourism, you are guaranteed a high quality safari, with a minimum number of tourists. 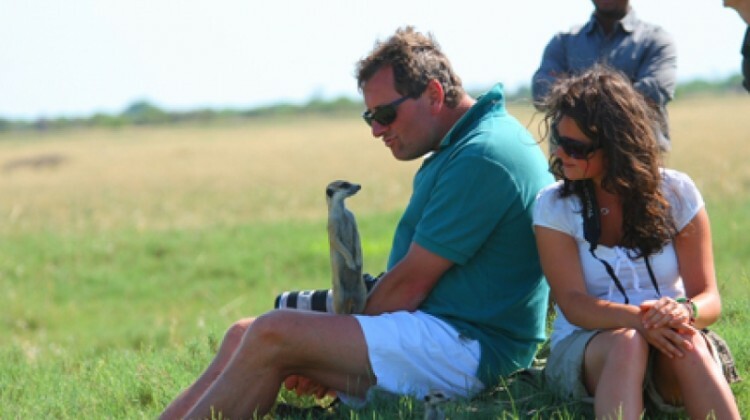 Botswana is a truly magical and diverse country with so much to do and see – the wide variety of activities available in this country make it suitable for any person of any age to visit. I think this was the first time in Africa that I really felt emotion when taking off from the runway in Maun to leave Botswana and there is no doubt that I would jump at the chance to return.